John Kovalic’s creations include the critically acclaimed comic book and comic strip DORK TOWER, as well as SNAPDRAGONS, NEWBIES, WILD LIFE, BEACHED, and of course and “DR. BLINK: SUPERHERO SHRINK” – an idea that came to him during a bout of insomnia, as they do. A co-founder and co-owner of Out of the Box Games, and a cartoonist on innumerable Steve Jackson Games releases, John has illustrated over 100 games and game supplements, and is best-known for helping to crate multi-million selling games such as APPLES TO APPLES, MUNCHKIN and CHEZ GEEK. John was inducted into the Games Manufacturers Hall of Fame in 2004, the first cartoonist to be so honored. He’s drawn nearly 5,000 cards for MUNCHKIN alone, and wouldn’t mind a spot of whiskey because of it. John’s own party game, ROFL!, was released in 2013, and was an Origins Award finalist, and made the prestigious Diana Jones Award shortlist. In his spare time, John searches for spare time. In that spare time, he seeks out other members of Team Blink. A native of England, John lost his accent long ago, and now lives in Madison, Wisconsin. 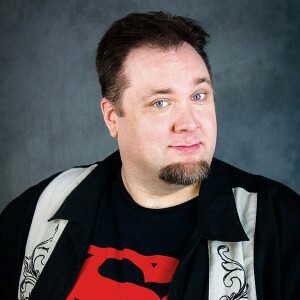 Christopher Jones is a Minnesota-based comic book artist currently providing artwork for the science fiction comic series Parallel Man, due out October 2014. Most of Chris’ work in recent years has been penciling for DC Comics, including penciling, inking and interiors and covers for Young Justice, based on the hit Cartoon Network animated TV series. He was also the regular penciler on The Batman Strikes. Other DC Comics credits include Batman ’66, Justice League Adventures, Batman & Robin, Day of Judgment and the cult series Young Heroes in Love. His work for Marvel Comics includes Avengers: Earth’s Mightiest Heroes and Marvel Superhero Squad. His other comics include the comic book adaptation of Re-Animator, Gargoyles: Bad Guys, Kolchak: Fever Pitch, and he is also the co-creator of Dr. Blink Superhero Shrink with writer/cartoonist John Kovalic. Chris enjoys a second career as the Chief Creative Officer for CONvergence, the world’s largest fan-run science fiction convention. Chris co-founded the convention in 1998, and served on the parent organization’s Board of Directors for the first 14 years of its life, and has created a wealth of artwork for organization, most of which features the convention mascot Connie. Chris currently resides in the Twin Cities area of Minnesota, where he is surrounded by talented friends who seduce him into more projects he doesn’t have time for – including improv, sketch comedy and voice acting. Melissa Kaercher is a Minneapolis-based multimedia artist, whose work includes comic art coloring & lettering, video editing, photography, theater, and graphic design. Her comic credits include coloring and/or lettering for Dr. Blink: Superhero Shrink, Femme Noir, and Take a Chance, as well as working on art for Green Ronin’s Mutants and Masterminds RPG books and various tabletop games. Melissa has recently moved into the world of film podcasting at The Geek Life, A Reel Education, and Xanadu Cinema Pleasure Dome. 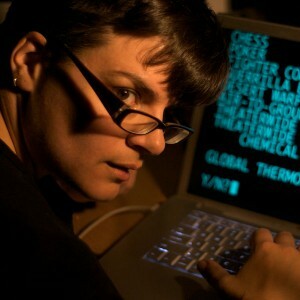 She also blogs about viral sound effects and music at The Sound and the Foley and various other random things at Tin Lizard Productions. Melissa also owns a pet fish and is Queen of the Lizard People. Joseph Scrimshaw is a comedian, writer, and squirrel enthusiast based in Los Angeles. He’s brought his “geek-flavored” comedy to San Francicso SketchFest, Chicago Improv Festival, Jonathan Coulton’s JoCoCruiseCrazy, Dragon Con, w00tstock, and comedy clubs across the country. He’s written for the movie-riffing site RiffTrax, the radio show Wits, the national sketch comedy TV show M@dAbout, and the podcast Getting On With James Urbaniak. His hit plays Adventures in Mating, The Worst Show in the Fringe, An Inconvenient Squirrel, and My Monster (written with Bill Corbett) have performed all over the world. Joseph’s podcast Obsessed has been featured as a “Staff Favorite” on iTunes. 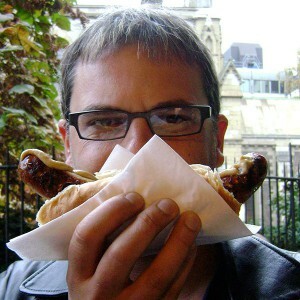 He’s released a geek memoir called Comedy of Doom and two live stand-up comedy albums: Verbing The Noun and Flaw Fest. Joseph wastes all his free time tweeting about not having enough free time. 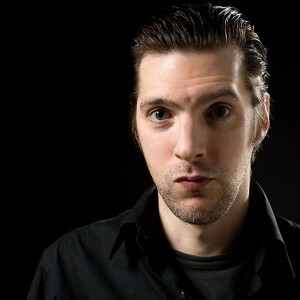 Find out more than you would ever want to know about Joseph on his website at http://www.josephscrimshaw.com.